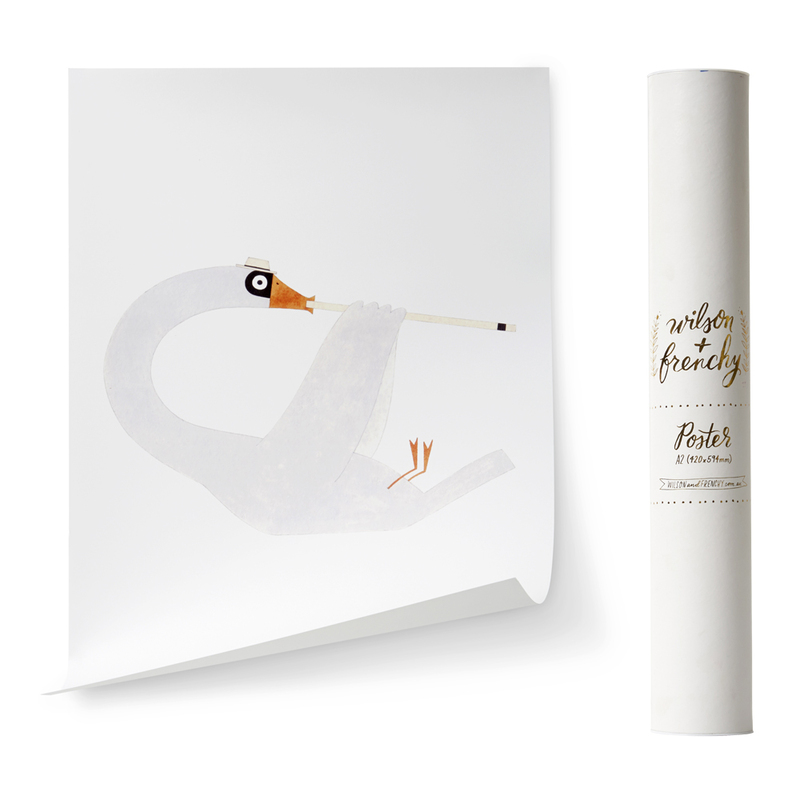 Limited edition cute musical swan A2 Poster (420 x 594mm) comes in a gorgeous wilson and frenchy mailing tube. This stylised bird is too cool, wearing a little hat and playing the clarinet while somehow flying upside down! This very affordable print could accompany a wilson & frenchy outfit to make the perfect gift!